Jo Ellen Caldwell was born in Detroit, Michigan. Her family moved to Corinth, Mississippi when she was 14, and she moved to Kansas City, Missouri for college in 1989. After completing her master’s degree in Physical Therapy, she moved to Phoenix, Arizona in 1996 to begin her career. Jo Ellen grew up wanting to be a professional athlete. She was a pioneer in women’s martial arts, kickboxing and boxing. By the early 90’s, Jo Ellen was one of the few women successfully making money in these sports. She had a drive to help others and to be a part of something bigger than herself. She fueled her passion by participating in coaching youth in kickboxing and boxing and training individuals to reach their fitness and athletic goals, and in the Fire Service. Jo Ellen has worked in every position on a fire truck. 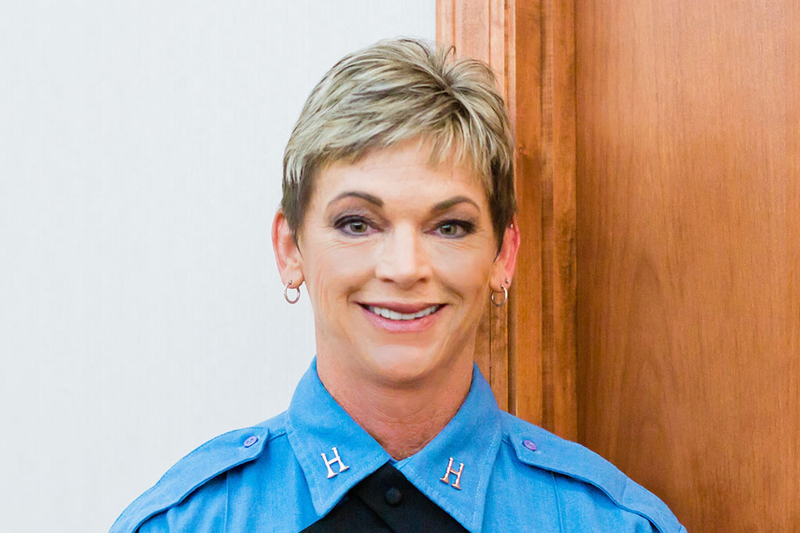 She was promoted to Captain almost 4 years ago and currently works as the paramedic program director for the Phoenix Fire Department. She was also one of the founding members and currently serves as the president of the Valley Women’s Firefighter Society. Jo Ellen holds two master’s degrees and a Doctorate in Physical Therapy. She received an award of Merit in 2017 for founding and managing the Valley Women’s Firefighter Society, which promotes female recruitment for the Phoenix Fire Department and she received two top 10 placements in the USA’s national bodybuilding competition in 2014 and 2015. Her message to young women is to be dynamic! Decide what is important to you, make a plan, reach your goal and then re-evaluate. Always reach for more and never accept just being comfortable. Life has no limits and any worthwhile goal has no timeline. The YWCA mission resonates with Jo Ellen as mentoring and coaching individuals embodies empowerment. The goal is to build people up no matter where they come from or what their life story may be.